To the west of Italy is the impressively large and often overlooked island of Sardinia. Here you can explore the many hills on foot or on horseback, see the coast from your sail boat, relax on gorgeous golden beaches, try local dishes and see the historic sites, all whilst enjoying the high temperatures and clear skies. If you love to sail then Sardinia is the perfect spot, as the coast offers the right environment, high winds, with calm seas and a rugged coastline with many hidden gems that are only accessible by water. Charters are available at numerous locations around the coast and what better way to appreciate the natural beauty of the island than by seeing it all at once from the sea. Thanks to the numerous hills across the island, it’s perfect if you love hiking or long scenic walks. Although the elevation doesn’t increase too drastically from one spot to the other, you will still have plenty of inclines to defeat and once you’re at a high point, you will be rewarded with stunning views across the landscape. If you don’t fancy walking it, why not take advantage of the horseback riding excursions and enjoy the natural sights from the top of your worthy steed! This is a great way to see it all, have fun and try something new during your holiday. Because landscapes can influence the weather, you may be surprised to know that snow falls here and because of this there are a selection of ski resorts! Don’t let that fool you though, there is still plenty of sunshine and hot weather for you to enjoy on the beaches! 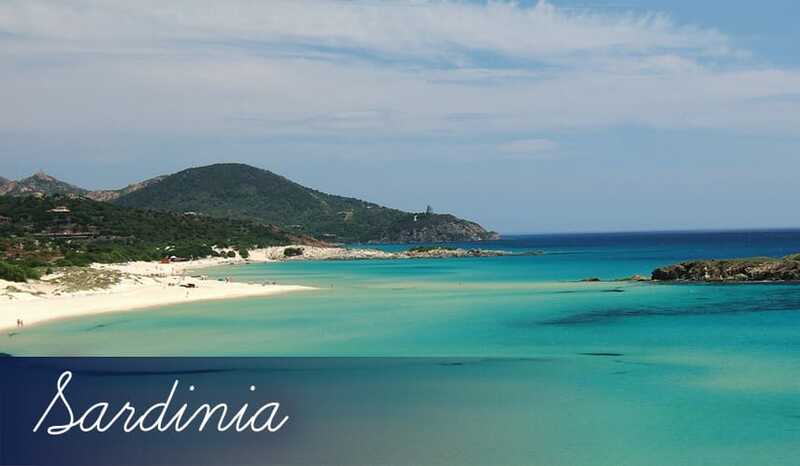 If you want nothing more than to spend some time soaking up the gorgeously warm sunshine on top of soft sand then head over to the north east coast where you will find Costa Smeralda. This stunning stretch of coastline is home to some of the world’s best beaches and is ideal for everyone whether you want to have fun with your friends, relax in the sand or entertain the kids. In some spots the water is very shallow twenty metres out to sea, so even the little ones can have fun. Water sports are also popular in places and it won’t be long before you’re having a go! Find out more about what each of the resorts of Sardinia offers by checking out the resort guides that we’ve written to help you choose the destination that’s best for you.